For the next 5 days following the collection, we anxiously awaited our daily phone call between 10a-12p to see how our embryos are progressing. My ovarian reserve while within normal limits is more equivalent to a 35 year old woman rather than my 27 year old self. I had planned for the worst; thinking we would not get many eggs or the quality may not be good, so each day I was holding my breath waiting for the other shoe to drop. Since we were “unexplained” we chose to do IVF with ICSI (Intracytoplasmic sperm injection) where the sperm is injected into the egg just to cover our basis. Natalia was the embryologist that called us every day to let us know how the embryos were doing. Our babies’ first babysitter! Each day the clock hit 10a we literally sat beside the phone waiting on the call…. 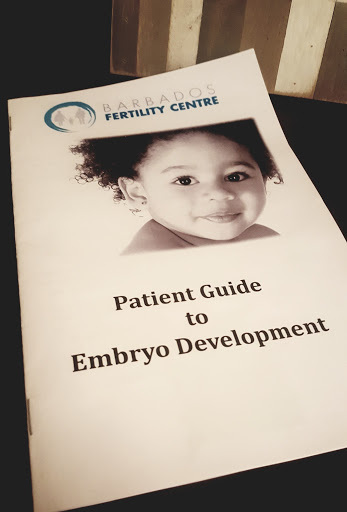 BFC gives you this book, so that you can easily write down the information on your embryos... super helpful! Day 1 - Feb 15th, 11:20am: 8 out of 10 eggs were injected. 2 had endometriosis so they were not viable. Out of the 8, 4 had reached activation/fertilization. Some of the others looked like the may reach activation, but we would have to wait until tomorrow to know more. Needless to say, I used the book religiously. I had it in my lap from 10a until when Natalia would call... pen in hand ready to go! So, for the other shoe…I phoned the clinic so we could discuss the Endometriosis finding since I was not able to grasp all the information after the collection. Dr. Skinner called me back within a few minutes of me leaving a message with Dionne. Again, back to the communication - Dr. Skinner did not perform my egg collection but knew every detail of my situation and the outcome from the day before. She talked with me for about 20 minutes, informing me of finding endometriosis in the ovaries and drawing out the endo fluid. She explained how many women with endo have to go through suppression prior to IVF so there is not a flare up OR have to suppress after collection and do a frozen transfer. Endometriosis can cause a toxic environment which can cause issues with implantation. My endometrium lining looked “beautiful” during the scans, but the environment with the flare up is just not ideal for a fresh transfer. Dr. Skinner said her recommendation was to freeze all, suppress the endo, then come back for a frozen transfer. She also mentioned that we could transfer one if we wanted, but depending on the amount of embryos that make it to day 5 (blastocyst stage) it might not be best. She said we do have the luxury of waiting until day 5 to decide based on our number of embryos. So, we had a decision to make. We decided we would see how the embryos progressed before making our decision. We really wanted to give it a try, so that we would not wonder “what if” or feel like we didn’t take the chance to see what could happen, but we also wanted to be smart about it. It was a lot to process and I took it pretty hard at first. I was ultimately scared, scared that my body cannot carry our child. I cried for a little, we talked, and then decided it was time to get up and get out feel the sun on our face and embrace the good news of 4 embryos! 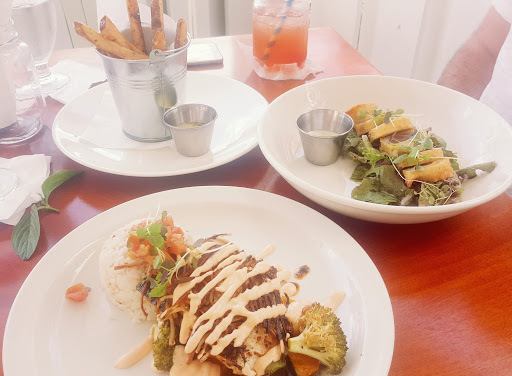 We ate our feelings this day (Drinks, lunch, and dessert)… we went to a restaurant, SALT. To die for... food makes me soo happy especially when people are able to be so creative with it. 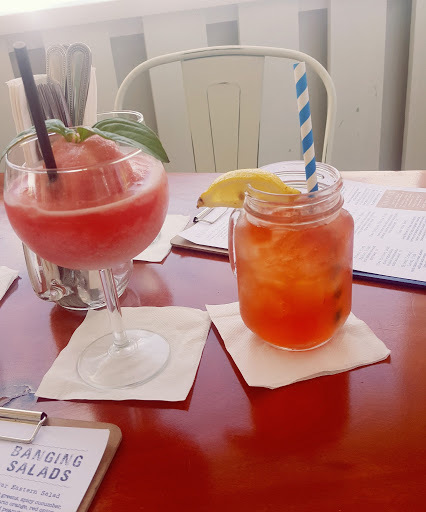 I also treated myself to a drink, a Frose’ to be exact, and it was delicious! And YES it is as good as it looks! Day 3 - Feb 17th, 10:05am: All 4 embryos are just as they should be on day 3, VERY good quality. They do not get checked on Day 4, so our next call will be on Monday and we will decide to do the transfer based on the number of embryos. Day 4 - Feb 18th: We got to leave the apartment nice and early instead of waiting for the phone call. We went to Limegrove, a luxury mall, about 30 minutes away that had a festival, but this story is for a blog of itself! Quick note: LimeGrove shops are closed on Sundays...haha...which is fine we were window shopping, but we did want to see some of those famous red bottom shoes in person! Day 5 - Feb 19th, 10:35am: 3 embryos have reached blastocyst stage and are VERY good quality. 1 was average, but needed just a little more time. We had decided if we had 4 we would transfer 1, our initial plan before the Endo finding was to transfer two. We knew the odds were not in our favor, but felt a sense of peace with our decision to transfer one. So, we would go in at 11:45a for my pre-transfer acupuncture, do the transfer at 1:00p, and finish with post-transfer acupuncture.